Now I’m not one to fry things at home, but when a friend asked us to bring a unique item to a weenie roast, how could I resist bringing crispy, fried onions? 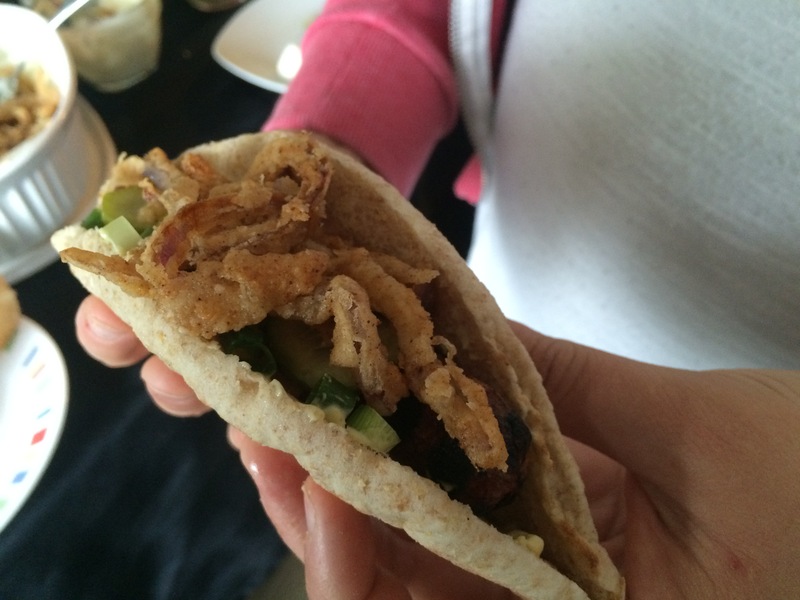 These were super simple and disappeared quickly once we arrived at the party. 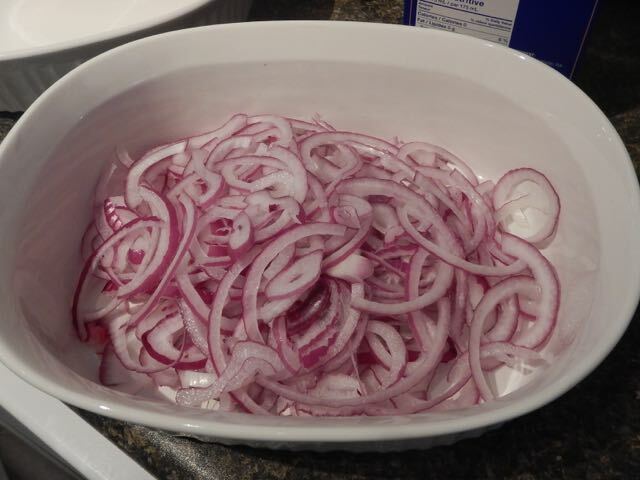 First things first: Use a red onion. You could use a white onion, but these were so incredibly flavourful that they added so much to the recipe! Next: slice them as thin as you dare. 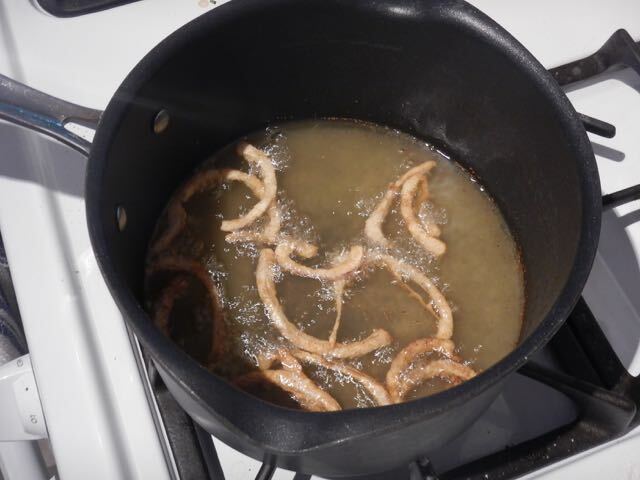 I then soaked them in milk for about a half hour. 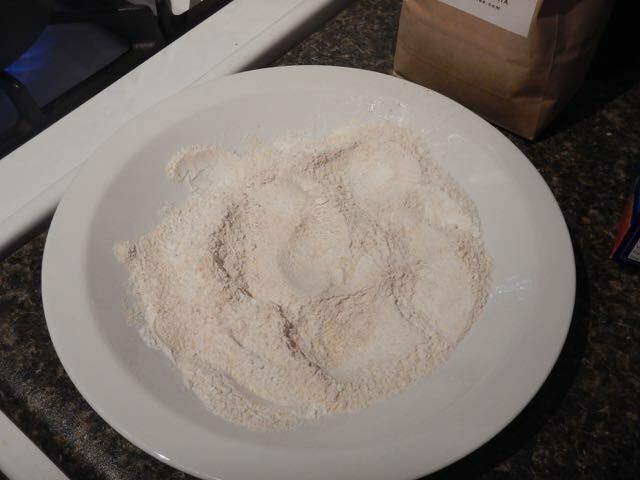 For the batter, I used AP flour and seasoning salt. That’s it! Then fry them up. I like to use a pot (not like I fry often), because it contains the oil splatter a little better. 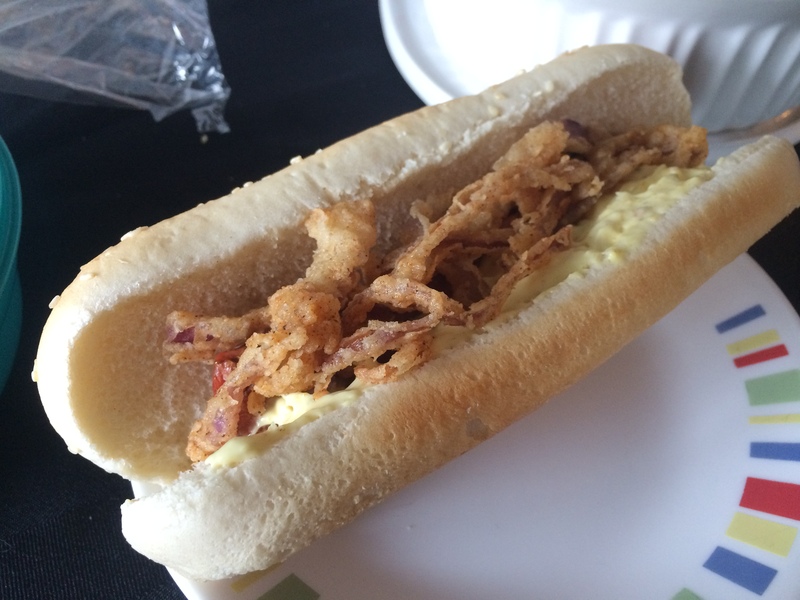 I forgot to take a picture of the mountain of onions this recipe created, but here they are, all topped on our dogs. Seriously. Best. Hotdog. Topper. Ever! Soak you onion pieces in milk for about a half hour. Heat oil in a medium pot. Mix you flour and salt. 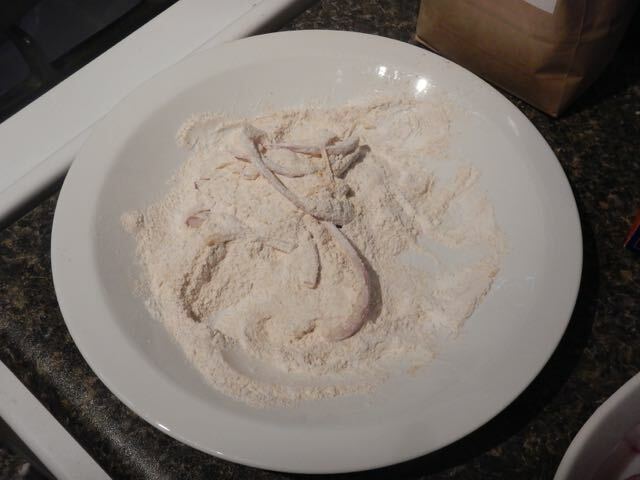 Test the to make sure it’s ready to go by pinching a tiny amount of flour into the oil. Once its sizzling, you’re good to go. Drench the onions into the batter, then transfer to the oil. Let crisp and turn brown on both sides, then transfer to a paper towel to drain. Enjoy on their own or as a topper to your favourite foods. 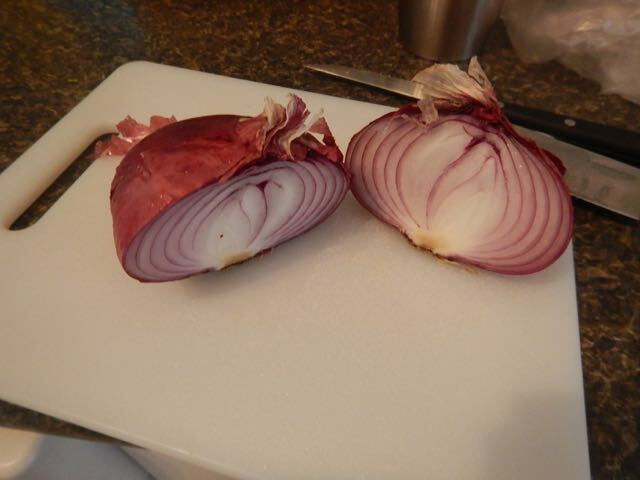 Chopping an onion in the correct shape for cooking can be difficult for a beginner like myself.